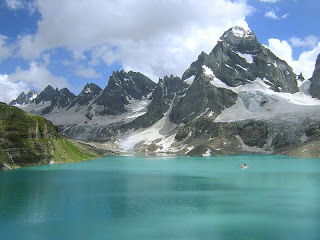 The state of Kashmir is a muslim majority area of Indian subcontinent. This state’s muslims decided to go with Pakistan in 1947 but its owner raja hari singh sold this state to nahro family at 5 hundred thousand rupees that time and flee from that place. Now Indian forces took charge of Kashmir, but when Muhammad ali Jinnah got to know this, he ordered Pakistan military to attack and take the area back, this was very first war between Indian and Pakistan in 1948. In this war Pakistan liberated half of the kashmiri state while other half remained in Indian occupation and is still under it. In 1967, china attacked india from Kashmir side and took hold of a part of Kashmir from Tibet which is also a humiliation for Indian forces. Kashmir issue was raised in United Nations but no international force ever tried to solve this issue honestly. Kashmir issue is oldest in resolved issue in united nations but every time when this issue is raised at international forum, Indian govt. finds a soft heart and this issue remains un resolved. Kashmir is part of Pakistan according to the 1947 partition rules but since the state was owned by a sikh, so he took liberty to sell it to hindus instead of letting it to go with Pakistan. This is the main issue. There are so many other associated issues with it. From Pakistan there are 13 routes to sia chin glaciers , the highest military base of Pakistan and india. But if Kashmir was nto in hand of india, it could never had an opportunity to hold a position on himalya. So india invaded Kashmir and now there is only one ruote to sia chin for india, via Indian occupied Kashmir. From Kashmir flow the rivers which flow into Pakistan e.g the river of jehlum and other main rivers. Kashmir is also important for Pakistan for this reason. But with Indian occupation, now Pakistan has to fight for its water too. India has constructed dams on Pakistan’s rivers (kishan ganga) from which she is generating energy but it denies it. This matter is now in international court where pakistan’s stance is proved and india has been stopped from furthering any kind of work on this dam. Kashmir is an important strategic location from where it is very easy easy for both india and Pakistan to attack on each other. This is why both countries have deployed heavy forces at Kashmir borders. Kashmiri muslims want to become independent of Indian occupation and they want to decide about their future. Despite of america’s countless promises, Pakistan still couldn’t get any positive reply from its closest friend America over this issue. Issue of Kashmir should be resolved and kashmiris should; be given this right to choose that with who they want to stay. We Pakistanis are with our kashmiri brothers and sisters, we condemn all the Indian atrocities in IOK, we want Un to be honest and truthful in keeping its promise. Let this oldest issue be resolved.